Where am I today??? I love Naptime with Chocolate Sundaes for Crazy Christmas Crafter! I am showing you all how I made this cute festive sign you can give away as a Christmas Gift or keep for yourself. I would love for you to visit me over there. Hope you all have a super day. Thanks for stopping by. P.S. Check out my Christmas Card Post below, you can get some Christmas Cards made too. 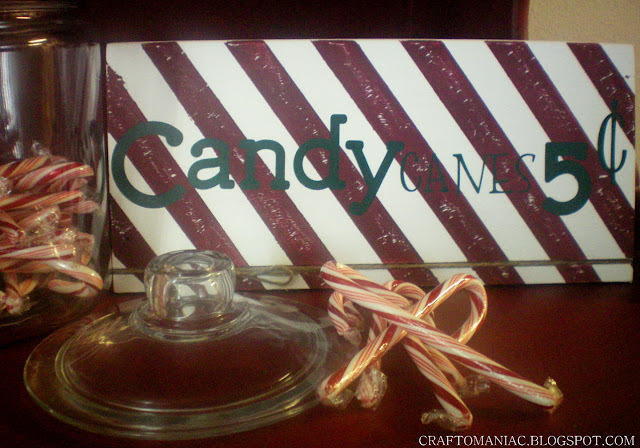 There is nothing I love more at Christmas time than Candy Cane Stripes! Love your Candy Cane sign! I hop you are feeling well and having a great week! Can you be anymore fabulous?